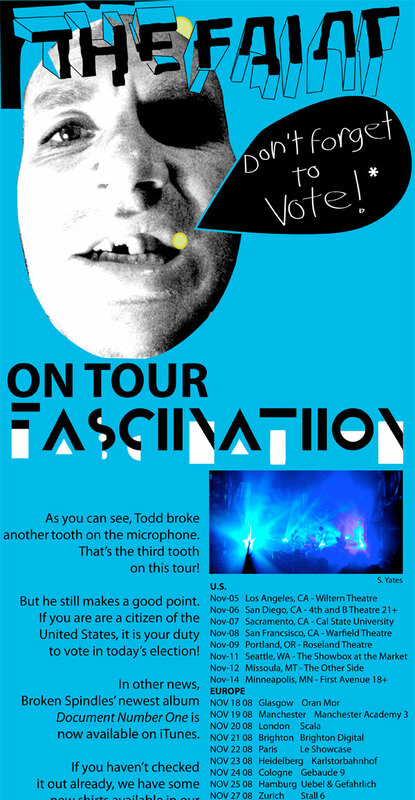 The Faint sez: Go Vote! Mr. Right now has a video, peep it here: and, he’s in a Boost mobile ad: Go, Mickey! Help Support Slim's and GAMH! Save All Ages Venues!